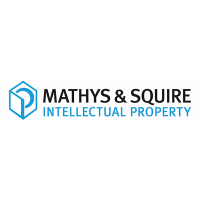 Mathys & Squire have acquired, through one of our subsidiaries, intellectual property strategy and valuation specialists, Coller IP. Coller IP is a specialist in strategic, commercial intellectual property management and valuation. Coller IP, based in Oxford, has been accredited as a leading expert in IP strategy and valuation. Recognising the critical importance of intellectual property as a business asset, the firm offers both valuation and evaluation of IP at all levels from initial assessment through to full due diligence. The acquisition of Coller IP supports our ambitious growth plans in both the UK and internationally, bringing our office total locations to eight including, London, Manchester, Cambridge, York, Paris, Munich, Luxembourg and now Oxford. We have always aimed to provide a truly complete IP service and are proud to be able to offer this added value to clients.